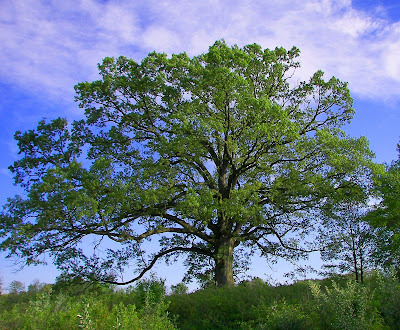 (Toledo, OH) The white oak pictured on your left can be viewed at Wildwood Preserve in West Toledo. It stands off to the edge of a 20-acre meadow that serves as home to innumerable birds, mammals, and reptiles, and standing near the tree reminds me of a scene from a place like the Serengeti. Except for the lack of gazelles, zebras, and lions, that is.